I often see heated debates on Facebook about whether or not a writer should write for free. Personally I have written for both paying and non-paying publications, and I thought it might be interesting to have a debate-style post here on Beyond Your Blog where writers argue both sides. Which side do you fall on (or lean toward)? Leave a comment and lets continue the friendly debate. They say money can’t buy happiness and sometimes balancing these two things can put us at a crossroads. For the writer, that balancing act happens over and over again and the dichotomy of passion vs money is often at play. Knowing whether or not to pursue something simply for the love of it, or because of what will earn you the most is a decision that can often escape us as writers. To some, being a writer is a passionate hobby, for others a career and to many, a working goal. For the latter, the struggle of strengthening your craft and brand, versus your bank account is a daily one. Although earning might be the end goal, it’s important to be able to find opportunity, and take it. That includes taking unpaid writing jobs. Every day pictures on Instagram, and Pinterest bombard us with messages like: “Quit your Day Job”, or “Do what you Love”,Etc. They’re inspiring, and a great daily affirmation, but when the day ends the sun sets on a rather empty proclamation. But is it naive optimism to believe you can be successful in a career doing something you love? In a perfect world, everyone would make tons of money doing what they love. In reality, it takes passion, ambition, and a lot of big picture thinking. If you’re still not convinced, here are 5 reasons to accept that next writing opportunity, even if it doesn’t pay. 1. Exposure. Ideally we all want to get paid for our writing, but sometimes opportunities come along that may not benefit you monetarily, but will help you in other ways. Example? I was recently asked to be a content creator for a huge, well-known brand. Though it was made clear that there would be no pay to start, it seemed crazy to respond with a decline. Yes, I would potentially be doing work for them without pay. But what would I get in return? My site, name and writing featured on a website with 5 million fans and readers. A perfect example of how sometimes the best return isn’t cash, but connection. 2. Grow your rolodex of writers. It’s important to nurture and grow your community. The ability to connect with not just readers, but other writers can be one of the keys to success. Guest posting on other sites is typically unpaid, but can be an important and great way to get your writing noticed by an untapped audience. 3. It can lead to paid work. Developing a relationship with a brand or a certain company can be important for growing writers. Although that partnership doesn’t always translate into paid jobs, a continued relationship can. 4. Growing your resume. Writers need to have great resumes, just like anyone else. Brand work, and paid endorsements can rank high but so can a large arsenal of quality writing and work. And like an artist showing a portfolio, you have to build yours and make it shine. 5. Practice makes perfect. The # 1 piece of advice that any writer will give you? Write every single day. It’s like the old question, what came first the chicken or the egg? Your writing career won’t be served to you on a silver platter. You have to first work on it, and nurture it every single day before it can hatch. How many times have you heard conversations such as these? Never. The reason being, most hard-working individuals expect and need to be paid for their services. So, why should it be any different for writers? Especially when words are one of the most powerful tools on this planet. Words have the ability to change the way people think. They carry the reader to different and exciting worlds. They show us we are not alone in our experiences, our desires, or our needs. They have the power to make us laugh when we need it most. To allow us to cry, knowing we are not alone. To heal a broken soul. To inspire. To illicit action. To make us feel alive. Creating something with so much influence is hard, solitary work. With more and more competition, getting published can be nearly impossible. 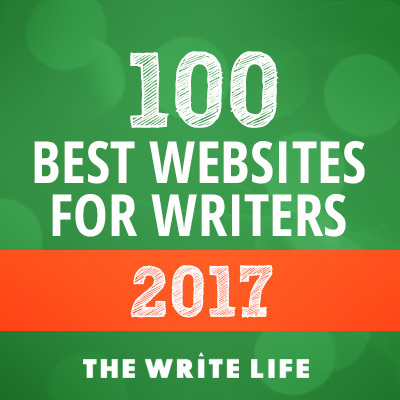 When a writer is published by a reputable online site, they should be compensated. The site is most likely deriving income from ads. Those ads are viewed by the readers. A reader who is drawn to the site because of the content. And who created the content? The writer: a talented, driven individual who often has to seek employment elsewhere in order to pay the bills. This “other” job takes away from the creativity bursting within the writer’s soul. And to me that is a great loss to the community. Granted, I have written for some literary magazines that only paid me with copies, but everyone has to pay their dues. After a few freebies I moved on. And I sometimes write for editors who are friends. But isn’t that what friends are for? We help each other. But before there was this need to accumulate friends, before the Internet and social media, writers were paid for magazine and newspaper articles. A piece was turned in. The magazine went to print. And the writer moved on to the next project. He didn’t count how many likes he received or how many times his article was shared. In very few instances (such as this one, pertaining to such an important issue) should one write for free with the promise of becoming recognized. A strong social media presence is great, and of course, we can’t turn back time, but no amount of “likes” is going to pay the mortgage. Sharing and tweets and exposure should just be the icing on the cake. Because without the money earned for her hard work, the writer won’t be able to buy the cake in the first place. Leave a comment and lets continue the friendly debate! Blake is a native New Yorker and writer with a penchant for monogramming, thrifting, horror movies, Wes Anderson and anything Parisian. She carries a Vogue in one hand and a latte in the other.. You can find her at style-island.com/, your all in stop for Style, Food, Beauty, Travel & everything NYC.